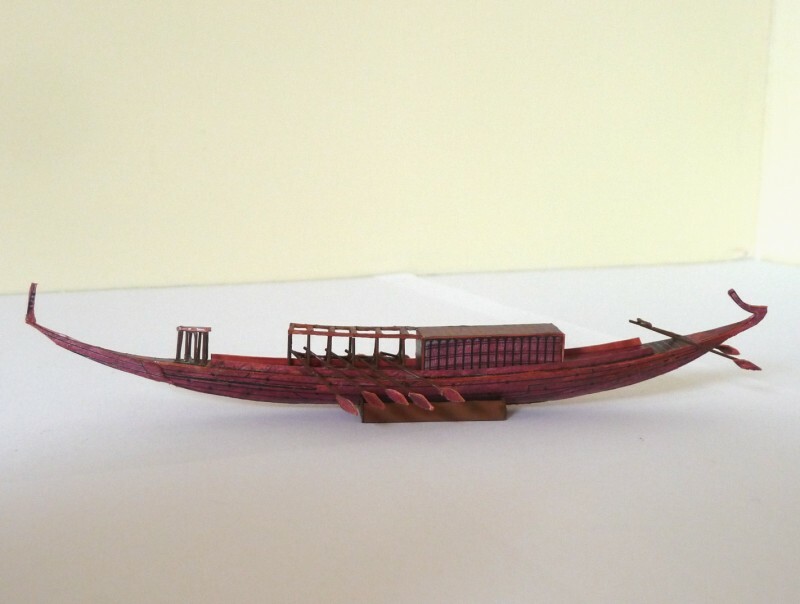 The Micromodel archive contains only a clipping from the Daily Telegraph of June 1954 announcing the discovery of 5000 years old Egyptian boats near the Pyramids. There is no evidence of any other artwork or sketches. 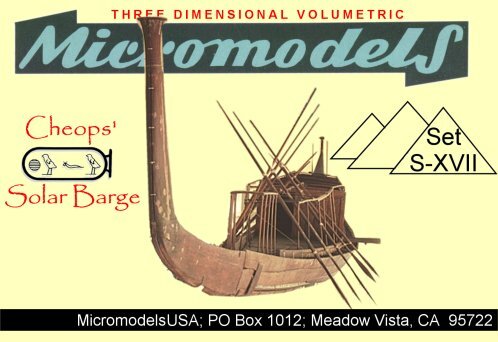 MicromodelsUSA has issued this model under the name Cheops Solar Barge. 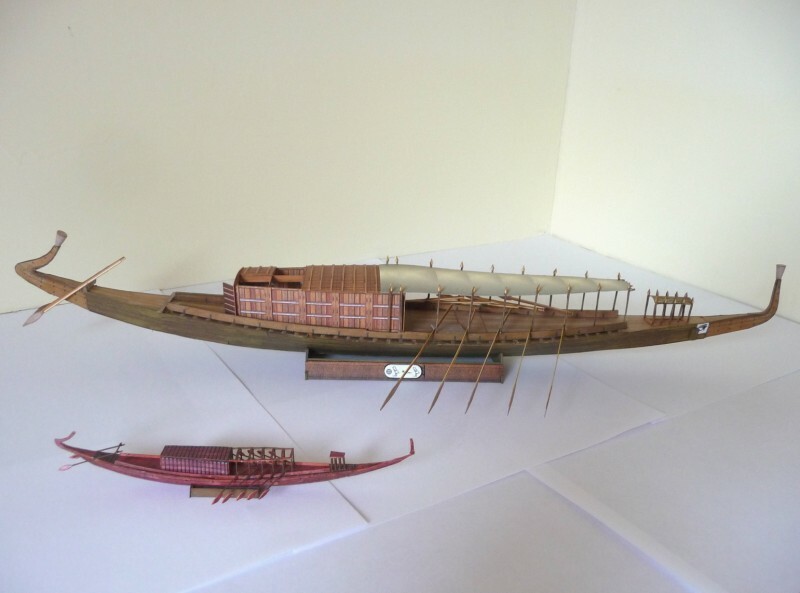 The large model in the picture below is from Schreiber in scale 1 : 100 .